GenreOnline.net: Rest In Peace George A. Romero. 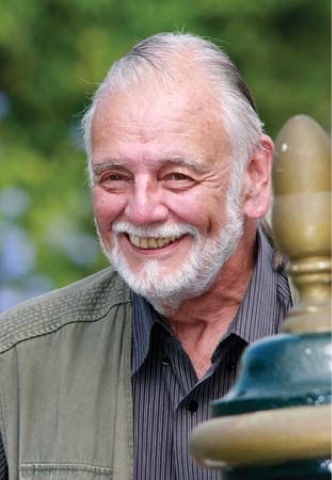 It is no secret that I am a great admirer of George A. Romero. When I interviewed him back in 2005, it was a fanboy's dream come true. He was funny, charismatic and far more worldly than I think anyone who did not know him personally already could imagine. At times he made cultural references to me that had me feeling dumb because all I could do is nod and pretend I knew what he was referencing while I was talking with him. Anyone in the industry I know that knew George professionally and personally has never had nothing but high praise for the man who created a subgenre in horror films that have stood the test of time as allegories of both the eras the films were produced in and examples of an Underated Master Filmmaker always proving with each of his films that he had a certain primal sense that could be imitated, but never equaled. We all owe George Romero a debt of thanks for holding a dark mirror upon society that both frightened and educated the viewer about the world we live in that few genre filmmakers ever achieve. George, you will be missed. Thank you.